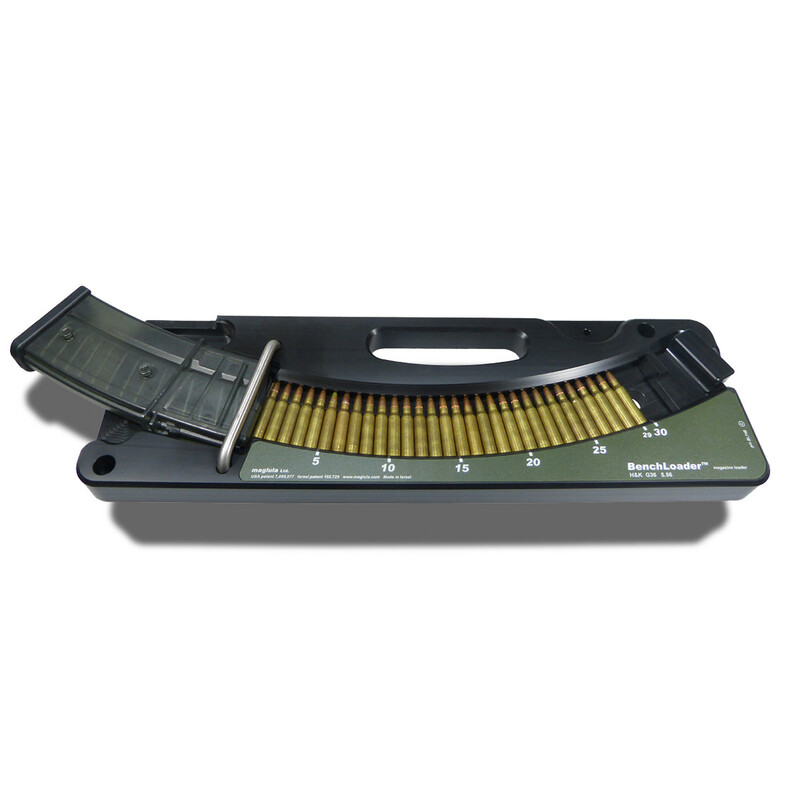 The BenchLoader loaders are super-duty CNC machined industrial 5.56 / .223 cal magazine loaders made to load a magazine in a single hand stroke. They are intended for daily loading of hundreds of magazines at shooting ranges and armories, and proven to load millions of rounds. They totally eliminate any fingers’ pain and injury, shorten loading time, and keep the magazines lips intact. Loads from 1 to 30 loose rounds in a single stroke. 25 seconds loading 30 rd magazines. Keeps the magazine lips intact. Allows inspection for defects and cleaning of rounds prior to loading. Safe on fingers and magazine. Filling of rounds is done with both hands, therefore quicker loading. Needs no dexterity or training to use. Needs virtually no maintenance or cleaning. Easy to operate with gloves in freezing weather. Each BenchLoader® is packed in Cordura® Padded Carry Case. © 2019 Double-Alpha Academy. All Rights Reserved.